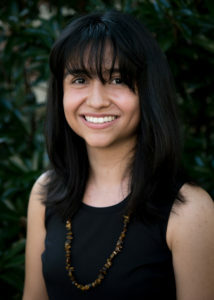 Carol is currently a second-year Master’s student at UNC-Chapel Hill studying Mass Communication with a focus on Journalism. She’ll be graduating May 2018. After graduation, she’d love to work at a digital media company, such as Great Big Story and Broadly. She would like to produce multimedia projects with an educational focus. She graduated from Rafael Landívar University with a major in Communication Sciences focused on Communication for Development. During her undergraduate studies, she worked as a student research assistant for the Director of the Humanistic Studies Institute. It was here that her interest for research developed into a professional goal: to create multimedia narratives of high caliber with a firm research grounding. Following graduation, she continued working at the Institute, this time as webmaster and communications administrator of the Web platform “Guatemala: Memoria Viva” (Guatemala: Living Memory). The aim of this website is to become part of teachers’ syllabi as a dynamic educational tool that offers an uncensored telling of Guatemala’s history. Throughout this time, she also worked as a teaching assistant in several courses, progressively turning teaching into one of her career goals. These courses included: Alternative Television, Communication Debates II – Strategic Planning Scenarios, Diversity and Cultures in Guatemala, and Applied Semiotics.